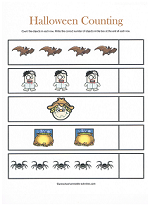 Halloween worksheets are a great way to combine learning and fun. 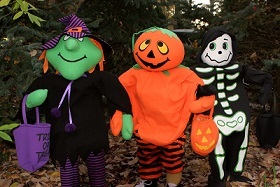 Kids look forward to the holiday of trick-or-treating. 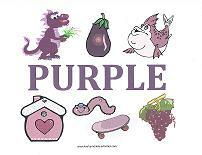 Print for immediate use or laminate and use washable markers for extended use. 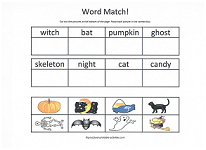 Start with some Halloween matching worksheets. 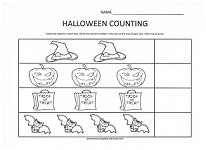 A simple counting worksheet with a Halloween theme. 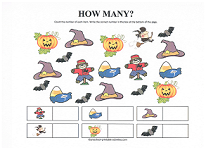 Count the objects in each row and write the correct number at the end of each row. 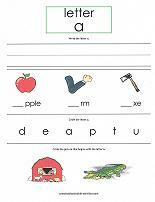 A fun cut and paste activity for early readers. Cut out the pictures at the bottom of the page. 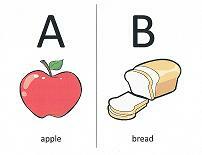 Paste them in the correct box. 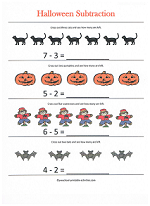 Here's some simple counting worksheets with a Halloween theme. 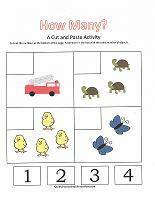 Count the objects and write the correct number in the boxes provided. 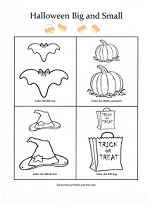 One sheet provides coloring fun too. 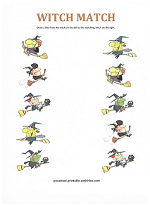 Cut out the pictures at the bottom of the page. 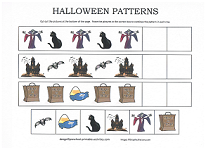 Paste them in the boxes provided to continue the pattern. 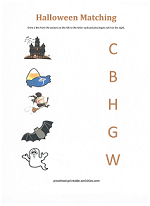 Halloween time is the perfect opportunity to teach or reinforce the colors orange and black. 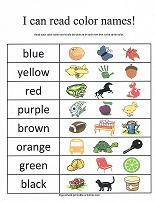 This worksheet will have the children circle the objects that are orange or black. 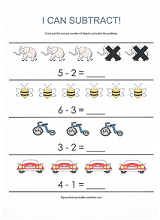 Here's a fun way to learn subtraction. 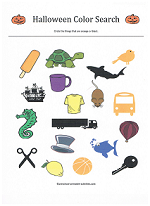 Simply cross out the correct number of objects to find the answer. 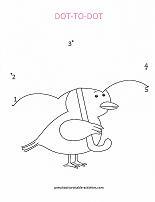 Try a coloring page for the concept of big and small. 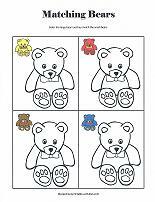 Each section will have the children color either the big or small object. 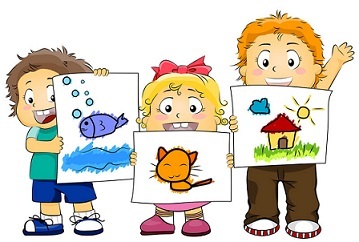 Kids love cut and paste activities. 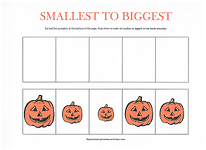 Cut out the pumpkins at the bottom of the page. Paste them in the boxes provided from smallest to biggest.